There was no doubt Pluto was a planet back when Clyde Tombaugh spotted it in 1930, but scientists rethought that after learning more about the solar system. In 2006, a new definition of what makes a plane from the International Astronomical Union (IAU) saw Pluto demoted to dwarf planet status. That decision has never set right with some members of the public and scientists. A new study from University of Central Florida planetary scientist Philip Metzger makes the case that Pluto should regain its planet status. 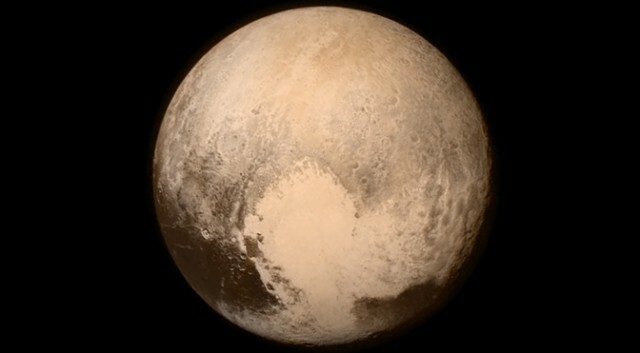 In decades past, Pluto seemed like a slightly odd planet, but clearly still a planet. However, scientists have since learned about the scale of the Kuiper Belt and even spotted several Kuiper objects that are larger than Pluto. The 2006 IAU definition of a planet included several key requirements. A planet needs to be spherical, which Pluto is. However, it also needs to have cleared its orbit to become the primary gravitational force. That’s where Pluto failed the test. It crosses the orbit of Neptune, the gravity of which affects Pluto. There are also multiple large Kuiper belt objects in space near Pluto. Scientists say the geology of Pluto is second only to Earth in its complexity. This isn’t the first time astronomers have attempted to develop a definition for planets. In the 1950s, Gerard Kuiper (of Kuiper belt fame) published a paper that used the way objects were formed to determine whether or not they were planets. Metzger says this reasoning is also insufficient. Metzger and his co-author instead say that an object should be classified as a planet if it has enough gravity to become spherical. This makes more sense because it’s an intrinsic property of the planet rather than something changeable like orbit, according to the paper. This definition would make Pluto a planet once more, but it could also mean objects deeper in the Kuiper Belt and the dwarf planet Ceres in the asteroid belt would also get a promotion. So, if you want Pluto back, it’s bringing friends to the planet party.